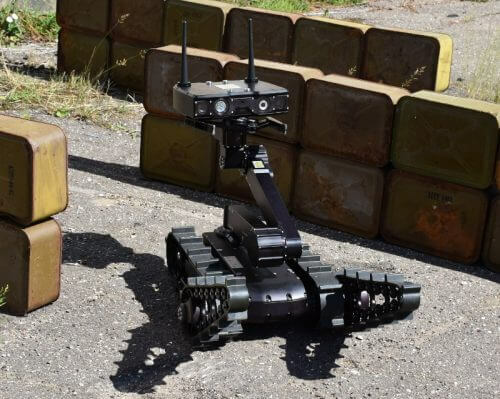 Thanks to the team of Robotics company Servosila for sharing the following press release with us which describes how their new EOD robot makes use of SDR technologies for electronic warfare. We also wrote back to them and asked for a bit more information on the SDRs used. They wrote that there are two SDR options available for the EOD robot. 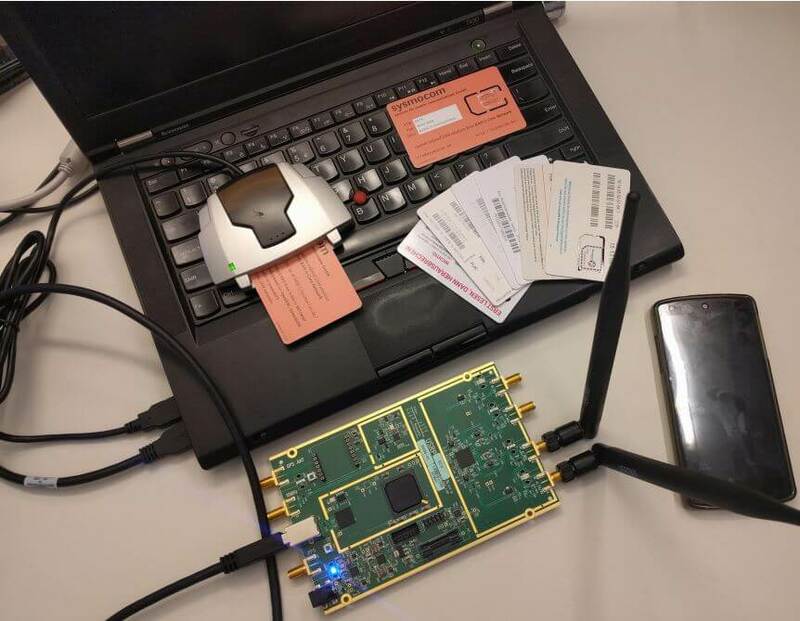 Option one uses the Ettus Research USRP B205mini-i, and option two uses the HackRF One. This provides a good trade off between cost and functionality. 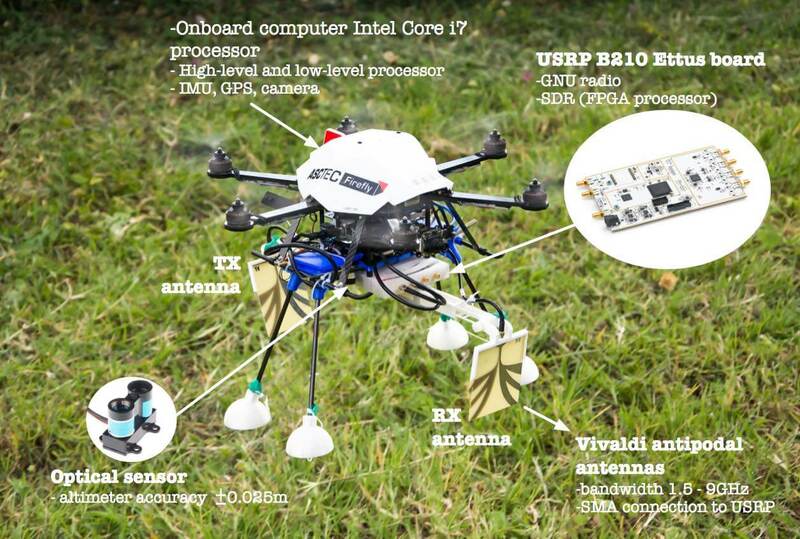 Servosila introduces a new member of the family of Servosila “Engineer” robots, a UGV called “Radio Engineer”. This new variant of the well-known backpack-transportable robot features a Software Defined Radio (SDR) payload module integrated into the robotic vehicle. 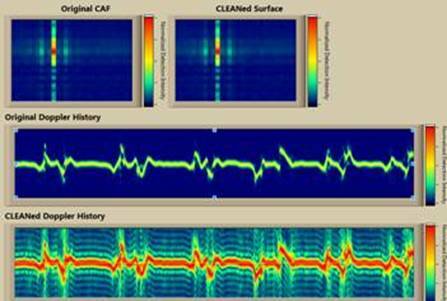 Coupling a programmable mobile robot with a software-defined radio creates a powerful platform for developing innovative applications that mix mobility and artificial intelligence with modern radio technologies. 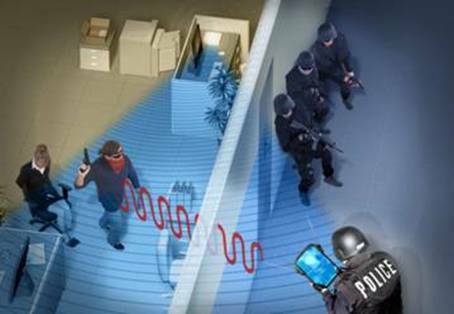 The new robotic radio applications include localized frequency hopping pattern analysis, OFDM waveform recognition, outdoor signal triangulation, cognitive mesh networking, automatic area search for radio emitters, passive or active mobile robotic radars, mobile base stations, mobile radio scanners, and many others. A rotating head of the robot with mounts for external antennae acts as a pan-and-tilt device thus enabling various scanning and tracking applications. The neck of the robotic head is equipped with a pair of highly accurate Servosila-made servos with a pointing precision of 3.0 angular minutes. This means that the robot can point its antennae with an unprecedented accuracy. Researchers and academia can benefit from the platform’s support for GnuRadio, an open source software framework for developing SDR applications. An on-board Intel i7 computer capable of executing OpenCL code, is internally connected to the SDR payload module. This makes it possible to execute most existing GnuRadio applications directly on the robot’s on-board computer. Other sensors of the robot such as a GPS sensor, an IMU or a thermal vision camera contribute into sensor fusion algorithms. Since Servosila “Engineer” mobile robots are primarily designed for outdoor use, the SDR module is fully enclosed into a hardened body of the robot which provides protection in case of dust, rain, snow or impacts with obstacles while the robot is on the move. The robot and its SDR payload module are both powered by an on-board battery thus making the entire robotic radio platform independent of external power supplies. Servosila plans to start shipping the SDR-equipped robots to international customers in October, 2017. Servosila is a robotics technology company that designs, produces and markets a range of mobile robots, robotic arms, servo drives, harmonic reduction gears, robotic control systems as well as software packages that make the robots intelligent. Servosila provides consulting, training and operations support services to various customers around the world. The company markets its products and services directly or through a network of partners who provide tailored and localized services that meet specific procurement, support or operational needs. A replay attack consists of recording a signal, and then simply replaying it back at the same frequency at a later time. To do this a receive and transmit capable software defined radio like a USRP/HackRF/bladeRF can be used. Over on his blog, the admin of the dxwxr group has posted a tutorial showing how he performs a replay attack on a simple wireless doorbell using a USRP, GNURadio and the audio editor Audacity. This is a very simple process and is a great tutorial for those looking to get started in reverse engineering signals. First he determines the frequency of the doorbell which turned out be be around 315 MHz. 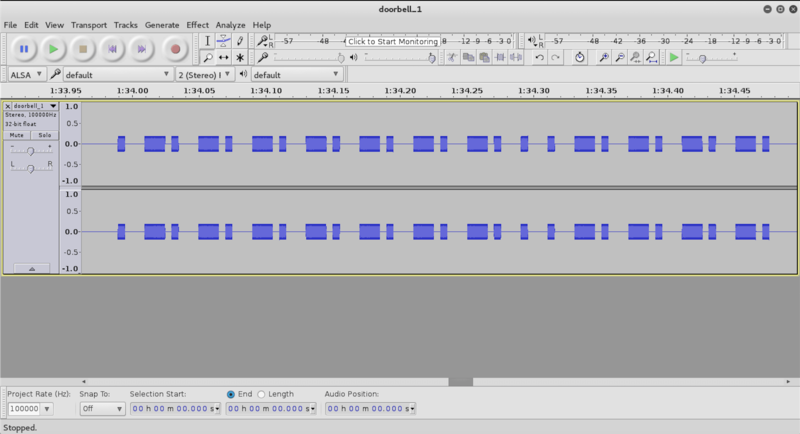 Then using GNURadio he records the signal emitted by the doorbell remote and opens up the audio file in Audacity. He then isolates a section of the signal and saves it as a raw aiff file. Finally, he uses GNURadio to transmit the isolated signal via the USRP. In the HF region between about 0 – 30 MHz it is common to see and hear “chripers” – signals which quickly sweep through the HF frequency band and produce an audible chirp. These chirps are actually signals from Ionosondes which is a type of radar system used to monitor the Ionosphere. The Ionosphere exists about 50km above the surface of the earth and is the atmospheric layer responsible for a large part of long range HF communications. In a previous post by Mario Filippi we also discussed Ionosondes. Usually it is scientists who transmit and monitor these Ionosondes, however if you have wide band radio that can cover a majority of the HF spectrum then you can also monitor these chirpers yourself. Over on his blog Fabrizio Francione has created a post showing how to use a USRP, together with a GNU Radio Program called GNU Chirp Sounder to create his own amateur Ionogram monitoring station. The USRP is a fairly expensive SDR with a bandwidth of 25 MHz, but we add that we think that next generation of low cost wide band SDRs like the up and coming LimeSDR should also be able to do the same job. The Ionograms show at what frequencies HF propagation is currently optimal for a specific distance (or number of signal bounces from the Ionosphere). Below is an example Ionogram animation showing the reception of Ionosondes taken over time. Video from the GNU Chirp Sounder page.